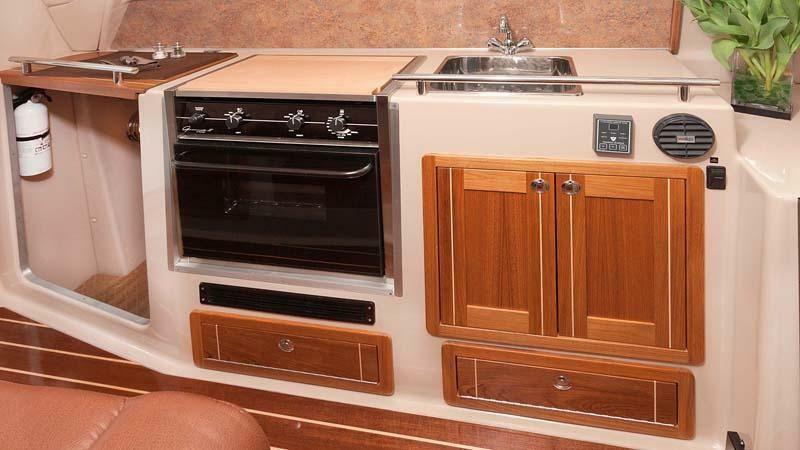 2013 C90 power cat, built locally by Aspen, is special in so many ways. 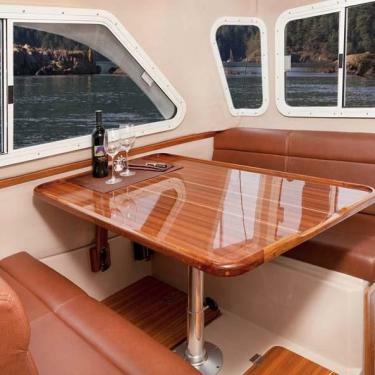 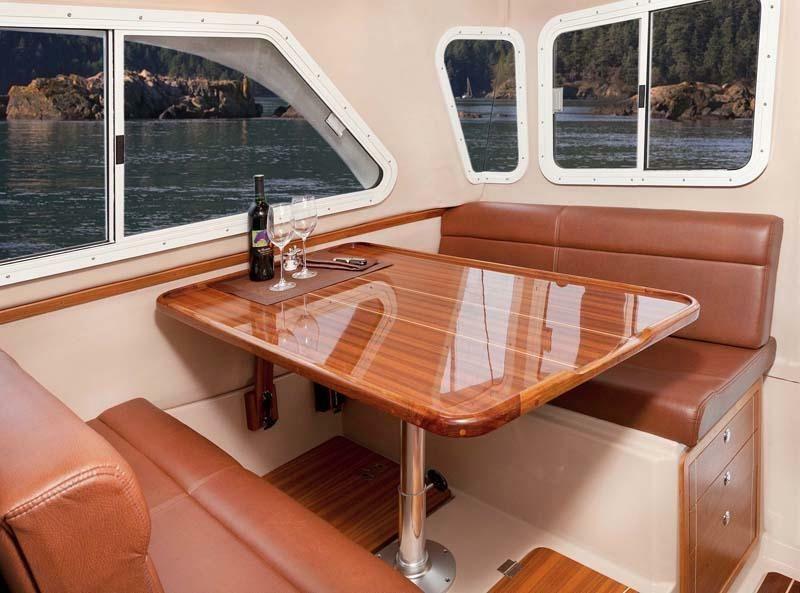 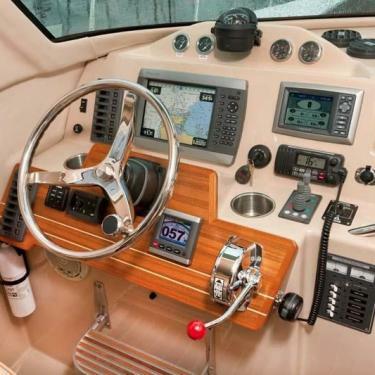 It was designed by Larry Graf the founder of Glacier Bay and Aspen Power catamarans. 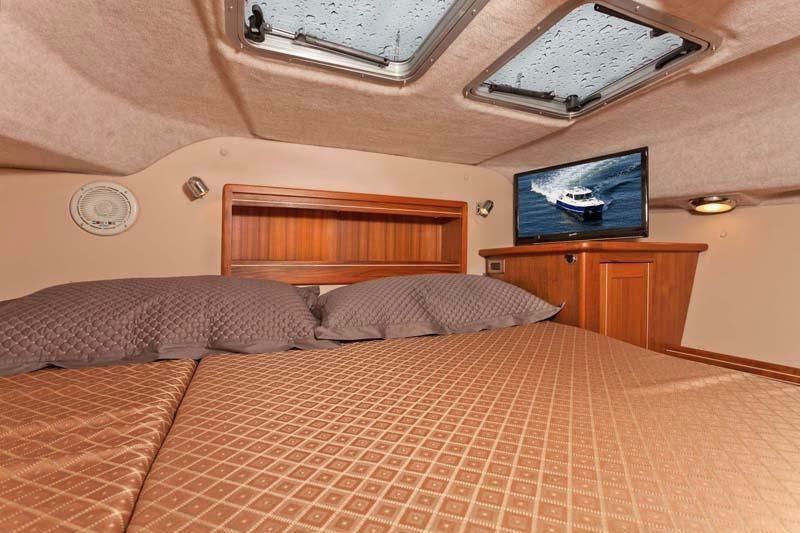 Aspen’s Power Proa hull offers the softest ride, best fuel economy and accommodations of its class. 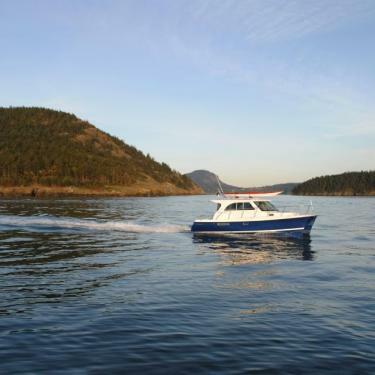 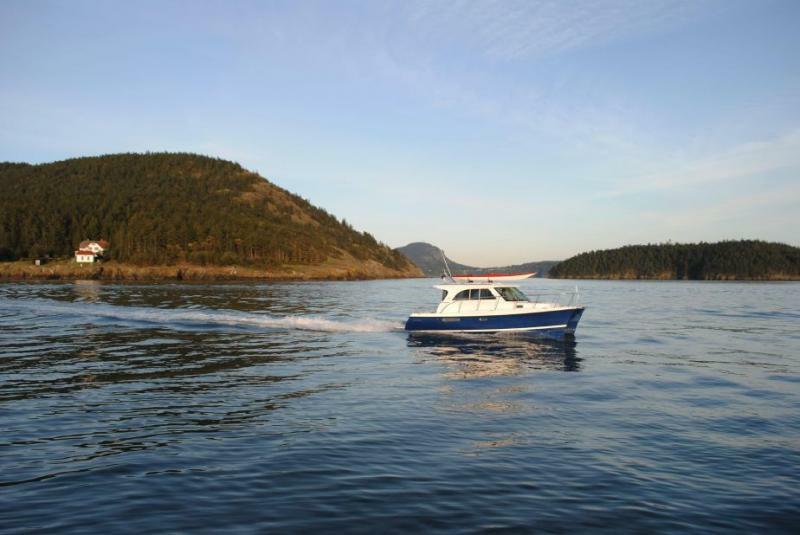 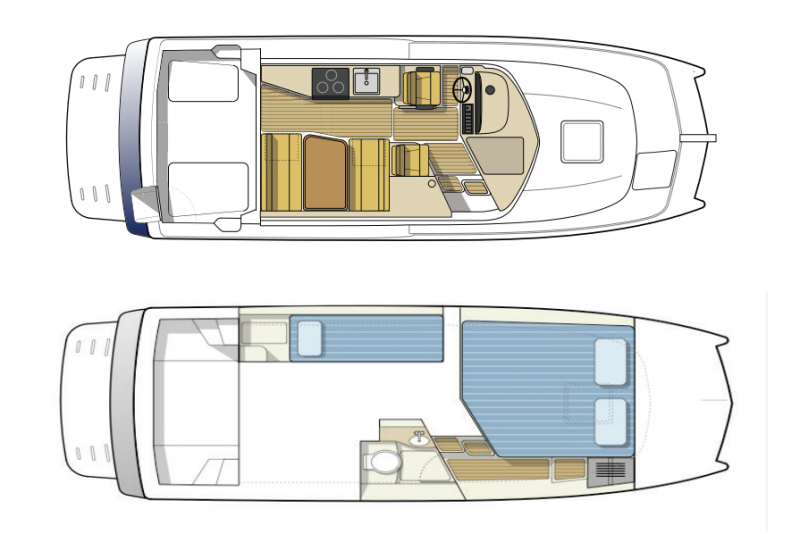 The robust hull provides extraordinary sea worthiness, stability and a dry ride. 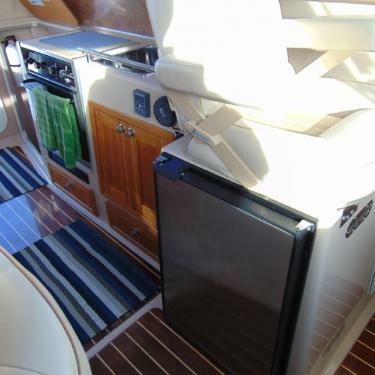 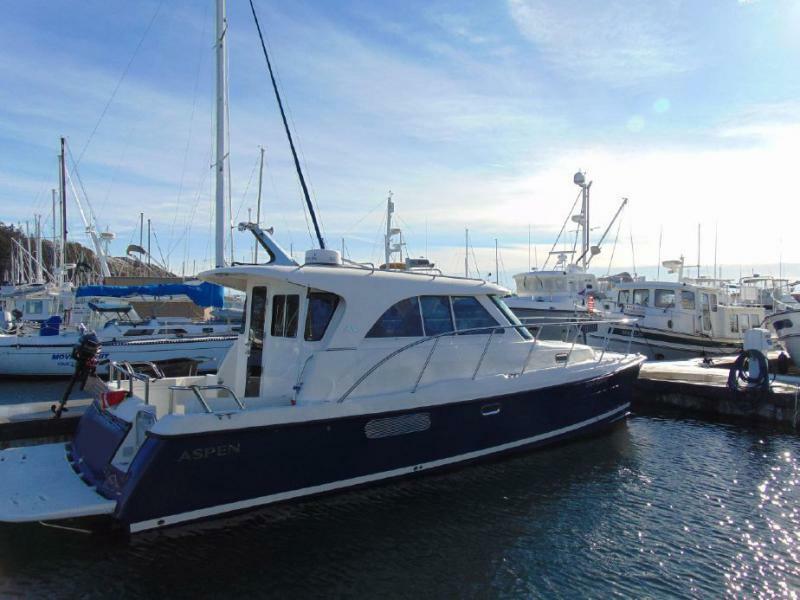 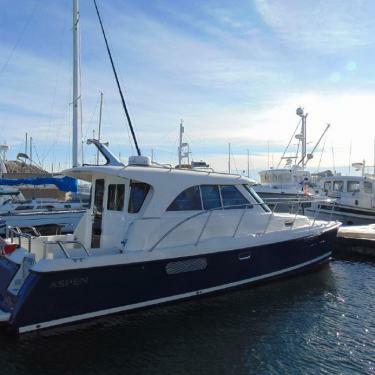 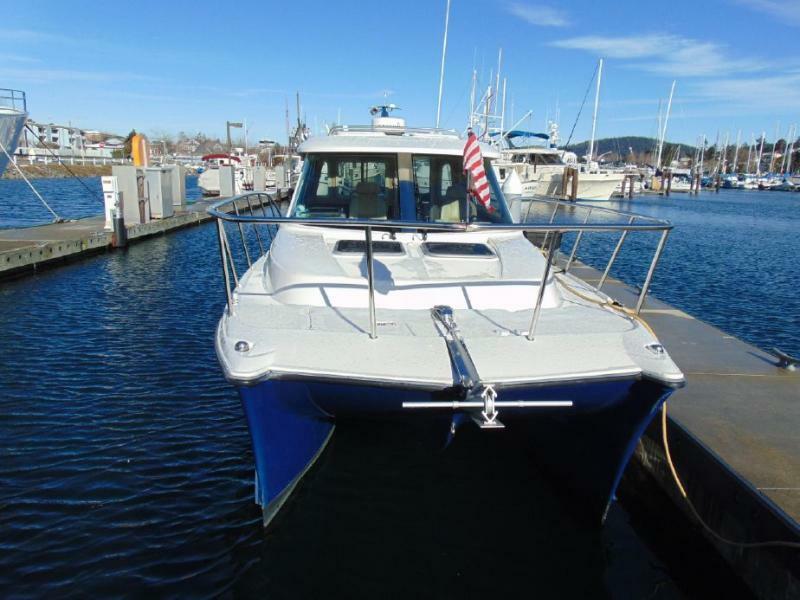 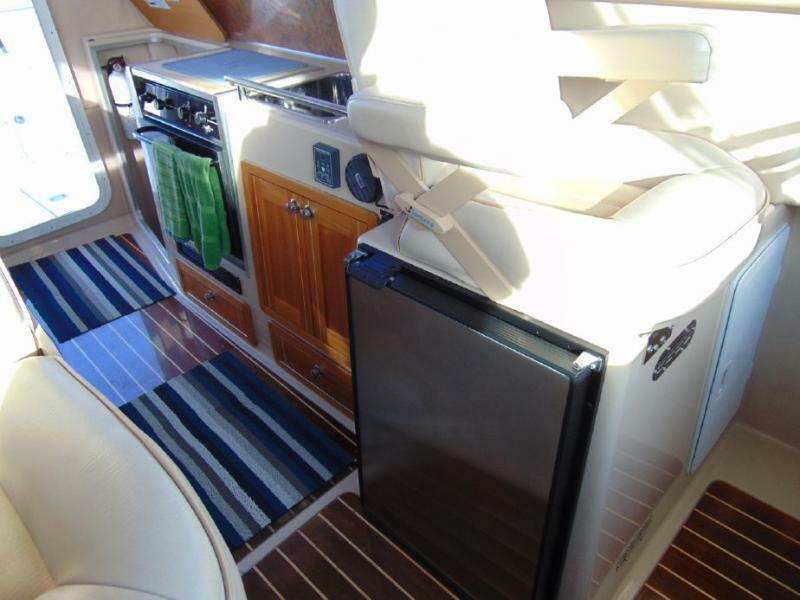 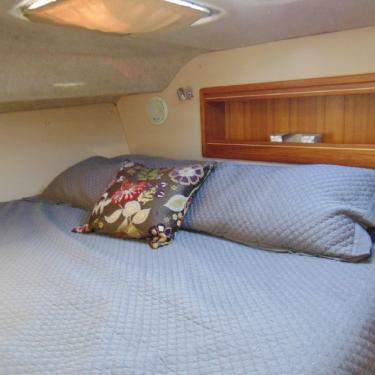 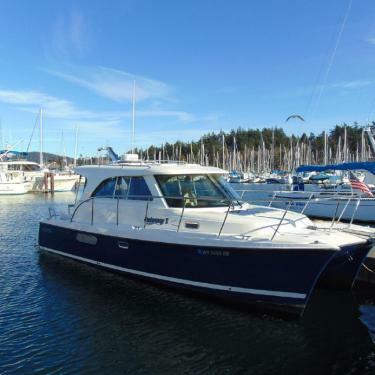 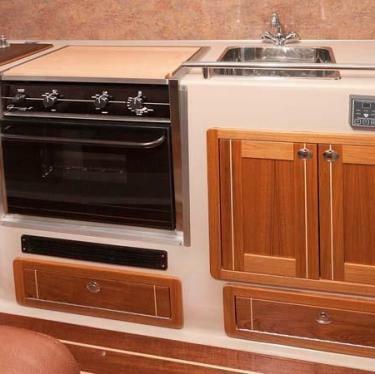 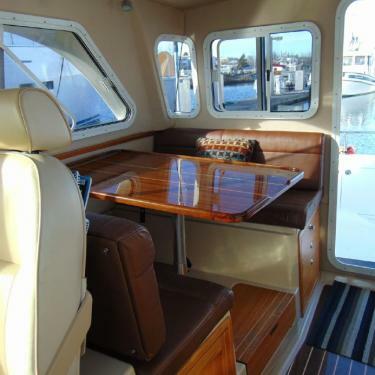 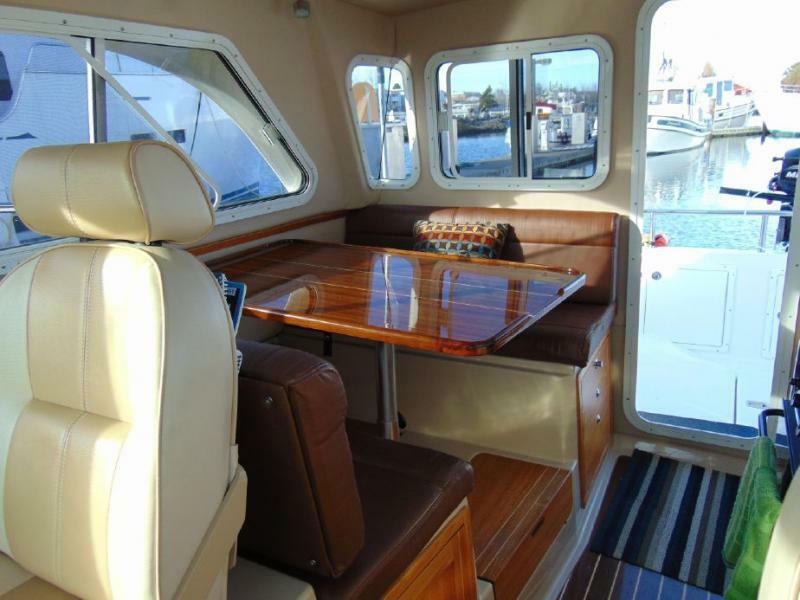 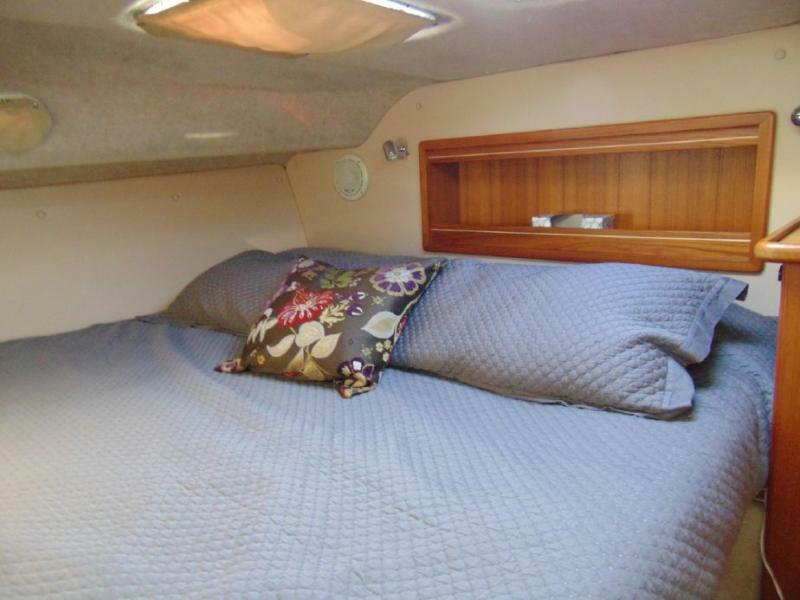 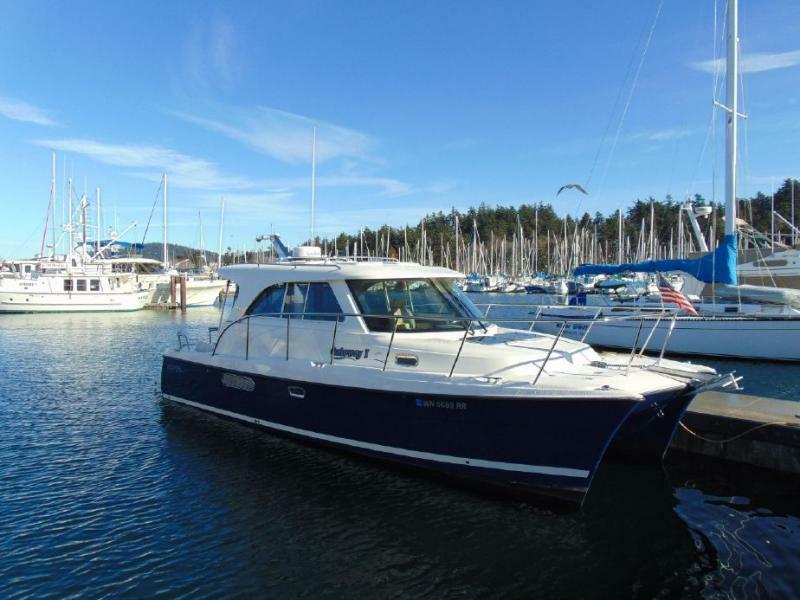 The design includes King master, head with shower, dinette with seating for 4 converts to queen berth, 8' galley with propane stove/oven and refrigerator, diesel heat, 1/4 berth under galley, bow and stern thruster/joystick control, aft deck with partial sun shade, swim platform, and high output stereo. . 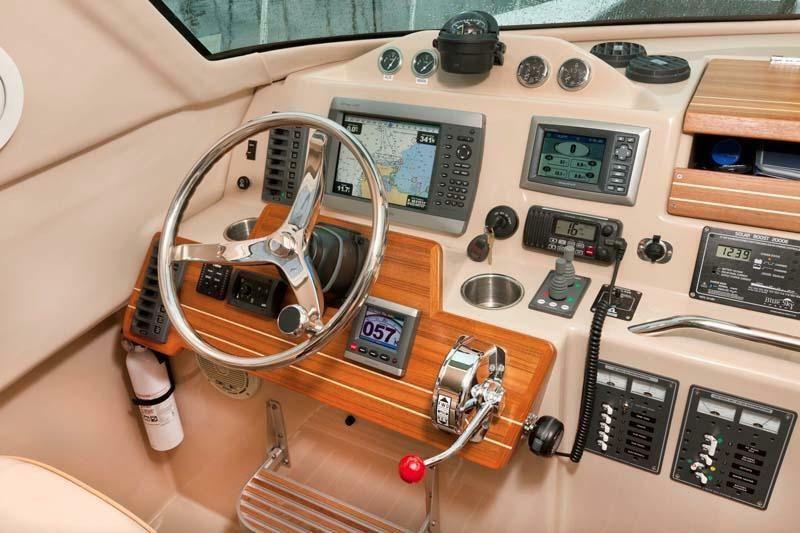 Excellent fuel efficiency, 3+ MPG at 14 knots. 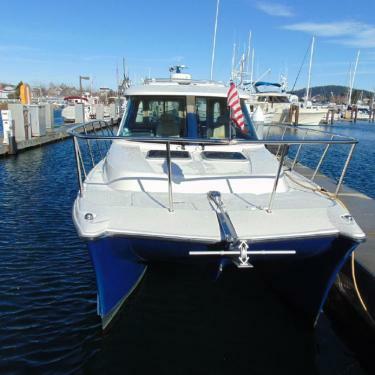 Easy to dock with bow and stern thrusters.